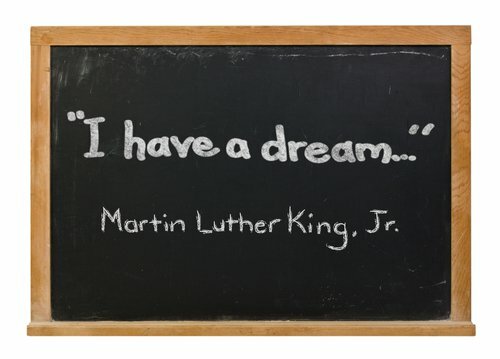 Let us take a moment to think about Dr. Martin Luther King, Jr. Think about his profound influence on U.S. history and civil rights. Think about his dogged determination, love, and vision of laying the foundation of so many influential civil rights. Think about his struggle. Think about how he overcame that struggle. Think about how, to this very day, if you watch his I have a Dream speech, that he still has the ability to send chills through your body and bring tears to your eyes. Think about his legacy. Read, re-read, and ponder the sheer magnitude of the aforementioned quotes. Think of the time, emotions, thoughts, and people impacted, and quite frankly, impacted today by such statements and beliefs. Think about how our world would be a different place if such quotes were the actions, beliefs, and attitudes of the majority today. Think about how these defining quotes can be applied to you personally, professionally, and perhaps, spiritually. Just think. Think of the issues that you’ve overcome in your life, and how those issues may have been hard to overcome, in the big scheme of the world, they were small, and how such larger, monumental obstacles within our society and ourselves have stood in the way and continues to stand in the way of life, liberty, and the pursuit of happiness. As such, think of how such obstacles have been overcome to gain our life, liberty, and pursuit of happiness. It is interesting how one day throughout the year, may serve as a reminder of where we’ve come, gone, overcame, and still struggle on key social issues. I wish people would stop, reflect, and pay tribute to those that have made such profound influences on society, life, and not remain silent on things that matter. Life matters. Love matters. Equal rights matters. You matter. I matter. I sit back and reflect today, on Dr. Martin Luther King, Jr., but in all reality, I should reflect on such key leadership lessons daily. Perhaps, we all should. As such, it may bring us closer together, teach us humble lessons of persistence, looking fear in the eyes and still move forward, and expand our empathy toward ourselves, family, friends, strangers, and society. Perhaps, as with the practice of gratitude, the practice of familiarity and reflection of great leaders can help us learn more, and well, be more. All my love to you on this day of remembrance and all days.